As a designer with no formal business training, I could be the last person qualified to write about the world of venture capital (VC). However, over the last several years of working with dozens of start-ups seeking seed funding and scale-ups pitching for Series A, I’ve taken it upon myself to learn the language. To learn more about investing, I highly recommend Neil Murray’s newsletter, Series F. But for those start-ups trying to get a handle on macro-level trends in the world of VC, I am going to share how I see it from an outsider’s perspective. One helpful piece of context is that my VC education is driven largely by witnessing first-hand how these firms work in the Midwest, contrasting with what I read from the SF-area firms. As with most things tech, Silicon Valley is the most mature market and often provides a glimpse of the future for other emerging markets. It’s also true that emerging markets can learn from the missteps of those pioneers and chart different paths. I’ve been following a few trends in venture capital that I think are exciting and possibly transformative. One of those is zebras. 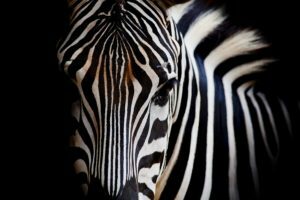 “Zebra” is a term created to contrast the unicorn, which has typically referred to companies valued at $1 billion or more. Zebras represent companies that are profitable, sustainable, and beneficial to society. As I’ve been digging into this trend, I can see the need to insert a new metaphor in the start-up world. Unicorns are being chased at all costs, and it’s had a negative effect on entrepreneurs. What may start as an idealistic passion to change the world can easily get bastardized into chasing user acquisition, monthly recurring revenue (MRR) and hockey stick growth … at any cost. At the heart of this is the notion that VC firms are chasing 10x returns. I’m no financial analyst, but that seems a bit like overkill. You might want to be Lebron, but if you could settle with playing in the NBA, you’d probably be just as happy. And that’s what is really behind the Zebra trend: a reality check that every start-up doesn’t need to be a unicorn. Indie.vc proves this with a long list of companies they fund and other companies that have scaled based on revenue rather than funding (also note how simple their own web site is: the zebra mentality is carried through top to bottom). It’s not that becoming a unicorn is inherently bad, but the mentality to get there can create a series of bad decisions that lead to failed products like the Juicero – a SaaS-based juice start-up – when simply making a better juicer would’ve been sufficient. The Zebra trend is particularly relatable to Midwest tech hubs that are trying to evolve older industries like agriculture and manufacturing. Creating unicorns is less attractive than creating strong companies with the goal of establishing a healthy local economy. Pumping start-ups with cash in hopes of a 10x return may be fun in the short-term, but it doesn’t provide long-term stability and healthy growth. Ultimately, tech products should solve problems, but businesses should help local economies. Nowhere is this more pronounced than the Rust Belt. Here, it’s less important to roll the dice on unicorns and more important to establish strong companies that strengthen local economies. As the Rust Belt continues to emerge as a key player in the tech industry, this trend will become the norm. Focus on jobs over profits: Maybe it’s just the Heartland in me, but I tend to believe that while tech companies can service customers around the world, they can still have a local impact. The Fortune 500 is full of companies that grew slowly, created long-term value for investors and provided amazing places to work. Tech doesn’t need to be different. SaaS products can still grow by focusing on employees as much as they do their profits. Set realistic revenue targets: The path to healthy growth starts with realistic targets. Given enough time and creativity, every start-up can plot a path to unicorn-land and often VC’s may feel the same way. But setting realistic expectations early on will lead to better product decisions down the road. Ultimately, you may find that early on you might have more revenue-based growth opportunity than you realize and wait to take on more investment (if at all). This entry was posted in Business News, Entrepreneuriship and tagged entrepreneurship, SaaS, startups, Technology, unicorn companies, Venture capital by Indiana Chamber of Commerce. Bookmark the permalink.